Walk just 7 minutes outside of Sukha and you will arrive at one of the biggest theaters in Mexico. The Teatro de la Paz was built more than 120 years ago and continues to be one of the main attractions of the city. 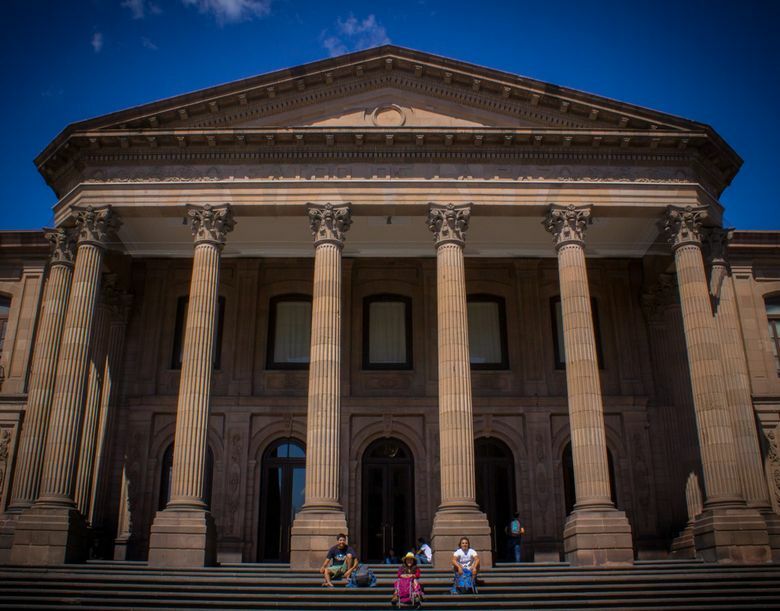 If you are a lover of architecture, you will immediately recognize the French influence and neoclassical style; If not, visit it the same way because it is incredible. Buy a ticket for one of the many shows that are shown there, have a good time and admire its unique structure from the inside. You will not regret! This beautiful building located next to the Plaza del Carmen, one of the city's many squares, houses a fantastic collection of masks from every corner of the country and many other places. Within its walls, you will learn many interesting facts from this collection and you can also admire some of the temporary exhibitions. The collection shown here has been very successful in countries such as England, Germany, France or the United States over the years; Although it can take some time in what comes to your country. Enjoy it while you're here! No matter if you are religious or not, you can not leave San Luis without visiting one of our most memorable buildings: the Metropolitan Cathedral. Its baroque facade and its incredible interior decoration will definitely dazzle you, making it a valuable experience. 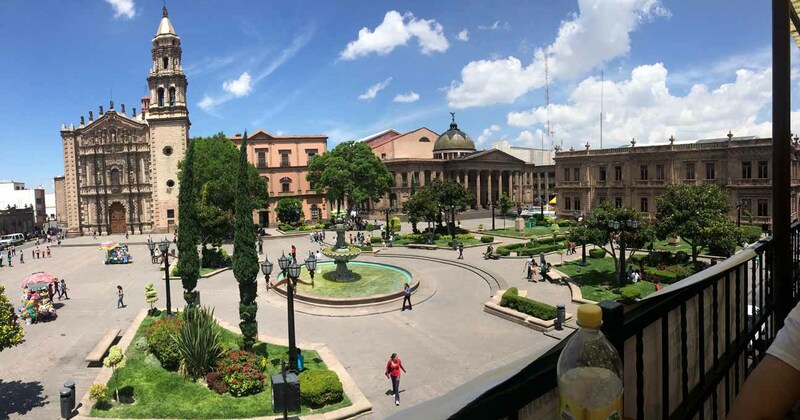 After your visit, sit down and rest in Plaza de Armas (the main square of the city) or go and have a cup of coffee in one of the traditional places around you. Listen to our words: you will love it! Calzada de Guadalupe is a road that runs from the historical centre to Santuario de Guadalupe, one of the most important churches for Catholics in the city; every December 12, on the Virgin’s day, hundreds of pilgrims can be seen walking through this path as an expression of faith. Jardín Colón is the starting point of this roadway, which is perfect for a smooth walk and holds important buildings such as Caja del Agua, Centro de las Artes or the military headquarters. An evening here will be completely worth it! For almost a century, this building located near downtown worked as State Penitentiary, until it was transformed into an artistic and cultural institution that is still functioning to date. Francisco I. Madero, one of the leaders of the Mexican Revolution, was held prisoner inside its walls before the beginning of the conflict; his cell, among other interesting sites within the building, can be visited in one of the guided tours offered daily. You cannot miss it! This is one of the most emblematic monuments of the city, for aside from the beauty of its design, it was for many years the spot where the inhabitants gathered to get water and it has kept perfectly preserved to date. 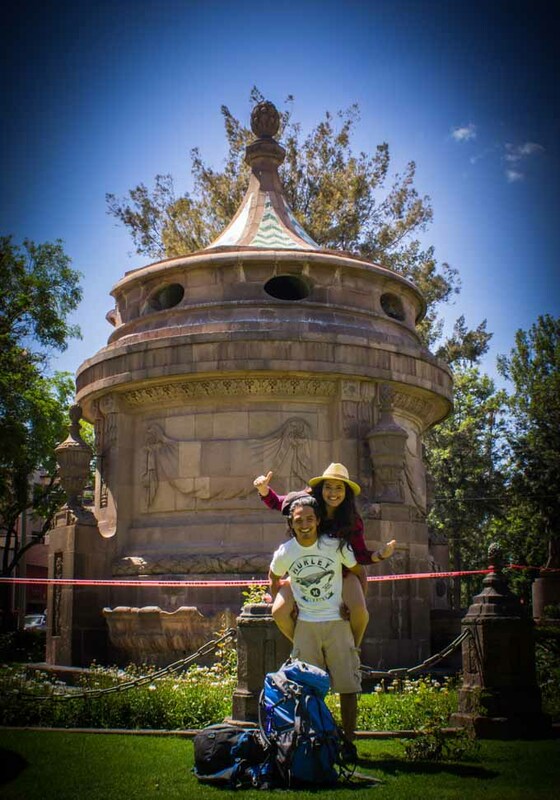 Caja del Agua is located at Calzada de Guadalupe, one of the most important roads in the city’s downtown; even though it no longer works, a picture a this spot is a must for those who visit San Luis Potosí. This alley located to the side of the San Francisco church is where you want to be at night. Although not more than 200 meters long, you can find a variety of places to drink, eat or just relax. Tip: get a table on one of the terraces, the views are spectacular! The best part is that it is only two minutes from Sukha, so do not worry about how you will return to the hostel and concentrate on having fun. Aranzazú is a square located just behind the San Francisco Church, less than five minutes from Sukha; Without doubt, this is one of the most beautiful and relaxing spaces of the Historic Center, and around you will find excellent places to eat and drink. 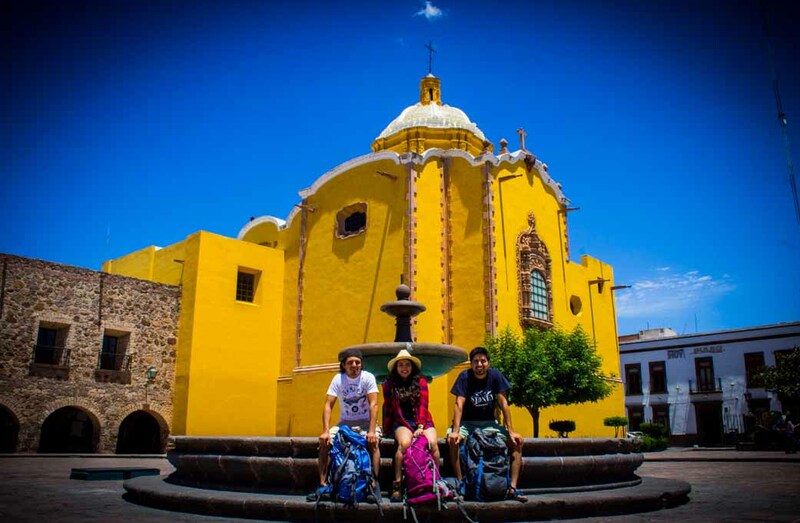 This complex includes the square with its fountain, the arches of the ancient stables of the convent and the Chapel of Aranzazú, a beautiful church whose window has also become one of the symbols of San Luis Potosí. Getting to this beautiful village will take less than an hour if you are in San Luis, which will soon be recompenciado by its relaxed atmosphere, the kindness of its people and the wonderful landscapes that you will see here. Santa Maria is the cradle of rebozos, a traditional dress that Mexican women have used for centuries to cover their heads. They are colorful, beautiful and are still made using old techniques. You have to get one! 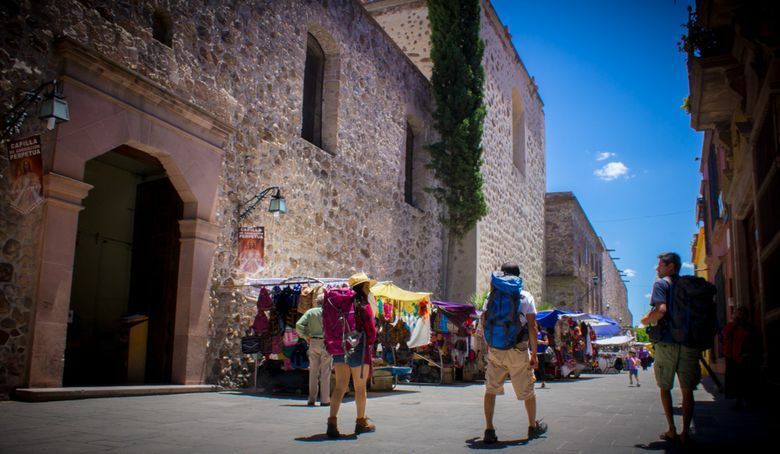 This little mining town was founded more than 400 years ago when deposits of gold and silver where found in the area; however, the lack of water forced its population to seek for a new place to live in, which led to the establishment of San Luis Potosí in 1592. Cerro de San Pedro has the charm of a ghost town due to its colonial buildings and the deathly silence that surrounds it; in spite of that, throughout the past few years it has become an important cultural space where you can always find something new.